Creationism is the belief that the earth and universe and the various kinds of animals and plants were created by God. Those that hold the views of Creationism are referred to as Creationists. Creationism runs contrary to the beliefs of Atheists who believe that the universe was not created by God. The vast majority of Christians and Christian leaders throughout history have accepted biblical creation. Biblical creationism is primarily based on: the compelling testimony provided by God's wondrous creation; the historical and prophetic evidence supporting the Bible; religious belief and on the scientific evidence provided through creation science. Biblical creationism, which includes the idea that man is created in the image of God, has profoundly affected Western Civilization in a positive way. Some of the areas it has benefited Western culture is in the areas of human rights and law, ethics and morality, economics, science, and the arts (see also: Christianity and science and Social effects of the theory of evolution). Atheist scientist, Prof Richard Dawkins, speaking at the 20th anniversary of the Edinburgh International Science Festival in April 2008, said the rise of creationism in British schools raised a serious problem for science teachers. Within creationism in the Abrahamic religions, there are various ideas. In regards to those religions, one form of creationism holds that the earth is approximately 6,000 years old and is referred to as Young Earth Creationism. The other form of creationism is called Old Earth Creationism and holds that the earth and universe are billions of years old. Creationist scientists demonstrate that the first law of thermodynamics and second law of thermodynamics argue against an eternal universe and they also demonstrate that these laws point to the universe being supernaturally created. Dr. Norman Geisler stated that "Both young- and old-earthers believe that God supernaturally, directly and immediately produced every kind of animal and human as separate and genetically distinct forms of life." Dr. Norman Geisler also wrote that "both young- and old-earthers who are evangelical hold to the historicity of the Genesis account: They believe that Adam and Eve were literal people, the progenitors of the entire human race." Creation scientists assert that the theory of evolution is in conflict with the evidence provided by the physical sciences and often cite secular scientific sources which agree with them on various points (for further details please see: evolution). Those who hold to young earth creationism point out that nearly every culture in the world has a creation story and a flood story. Many of these creation accounts and flood accounts have commonalities with the account given in the book of Genesis although gross differences exist also. The Institute for Creation Research has taken the position that the similarities in regards to creation accounts to the Genesis account demonstrates that the main points of the Genesis account has been preserved. In regards to the assertion that the similarities in flood stories around the world show common origin, young earth creationist particularly assert that there are strong similarities between the Genesis flood account and other world flood accounts. Also, there are remarkable similarities between Native American creation myths and the biblical account given in Genesis concerning creation. Dr. Carl Wieland was a founder of Creation Ministries International, a Christian ministry which is in four continents. Belief in creation has regrown rapidly in Europe, as can be seen by secularist hysteria over the occurrence. Evangelical Christianity is growing rapidly in China (see: Growth of Christianity in China). China may have one of the largest populations of biblical creationists in the world by 2030 (see: China and biblical creationism). Jun-Yuan Chen Research Professor Nanjing Institute of Geology and Palaeontology was quoted in the Wall Street Journal as saying, "In China we can criticize Darwin but not the government. In America you can criticize the government, but not Darwin." The effect of evolutionism on the Western World and the world at large was mitigated by the growth of modern creationism and Christian apologetics in the latter half of the 20th century and today global creationism, Christian apologetics and global Christianity are seeing rapid growth. ...with the birth of the modern creationism and apologetics, a revival set in motion among the evangelical Christians. This group became quite vocal and aggressive in the sixties, and by seventies they started exerting significant influence among theologians, thinkers, and the Bible teachers all over the world. Thousands of apologetic books, hundreds of magazines, and tens of thousands of articles have been produced defending the Bible since. In turn, this has started to diminish the influence of rationalists and radicals on Christians. From the middle of the nineteenth to the middle of the twentieth century the rationalists had their heyday, snatching away millions of young people from their Christian faith and commitment. The wounds of this loss can been seen in Christendom even today, but at the same time this loss has been greatly minimized now because of the work of Christian apologists. Today anyone desiring to know about the Bible, and its connection with science, evolution, history, archaeology, has read any number of books on this topic. Literally thousands of titles are available, and he can choose anywhere from the most simple books to the most technically advanced ones. Thus the modern apologetics movement has been able to arrest the way in which rationalists have been bleeding the Christian church. “ Creationism, the belief that a god -- not evolution -- shaped life on Earth, is ... spreading in the very stronghold of evolution, Europe. That’s the conclusion of five years of research that’s been put into new book on creationism. The book details how creationism is on the march throughout most of Europe. "Over the last ten years we’ve seen the emergence of big-city creationism. London is a good example," says Kjærgaar. Here, noticeably more young people have been signed up to various local and religious groups. Answers in Genesis, Creation Ministries International and Institute for Creation Research have websites which consists of thousands of web pages and their respective websites receive significant web traffic. Creation Ministries International has a 15 questions for evolutionists web page which features questions that evolutionists cannot satisfactorily answer, an interactive survey, videos and articles on various creation vs. evolution topics. Intelligent design theorists contend that the core feature of life consists of information processing systems that cannot be fully explained as being the result of unintelligent causes alone. When evolutionist Richard Dawkins was young, he recognized that the complexity of life indicates a designer. Believers in the Abrahamic faiths who hold to creationism believe that the natural world has been designed by God. Recently, there have been articles which were favorable to the intelligent design position in scientific journals which traditionally have favored the macroevolutionary position. Believers in the Abrahamic faiths have points of agreement and disagreement with the intelligent design movement. They agree that the natural world has an intelligent cause and was designed as mentioned previously. However, some advocates of creationism believe that the intelligent design movement divorces the Creator from creation by not explicitly stating that the cause of creation is a supernatural being and also failing to state explicitly who that supernatural being is. There is considerable disagreement on whether or not intelligent design amounts to a form of creationism and if so, where to place it in comparison to the other forms of creationism. This is due to the concept having many different definitions and proponents espousing different ideas. For example, one major proponent of Intelligent Design is Young Earth Creationist Paul Nelson, while Michael Behe, another major proponent, accepts common descent. William Dembski has stated unequivocally that Intelligent Design is not theistic evolution and they should not be considered the same. Dembski has also asserted that Intelligent Design is the Logos in terms of information theory, while Dembski and others have given other definitions that do not include any specific theological references. Arguably, intelligent design can be summarized as the notion that at some point in the past, in some way, some entity (possibly God) created life, or altered life at some point, or created the universe to be compatible with life. Behe and others have stated that Intelligent Design is not religious in nature but in the Dover trial, Judge John E. Jones III, a Republican and a US Federal District Judge, ruled as one of his findings that Intelligent Design was essentially religious in nature. The opinion borrowed heavily from the ACLU's briefs. The Kitzmiller vs. Dover case did not take into account that atheistic evolution is religious in nature. According the news website The Commentator: "Belief in evolution remains a minority position in virtually all Muslim societies around the world today. According to studies, 22 percent of Turks, 16 percent of Indonesians, 14 percent of Pakistanis, 11 percent of Malaysians, and 8 percent of Egyptians believe in evolution." In 2010, the Islamic creationist Harun Yahya was chosen among the top 500 most influential Muslims by the Royal Islamic Strategic Studies center in Jordan. “ Mass migration has led to a rise in creationist beliefs across Europe, according to a British scientist. Michael Reiss, who is a professor of education at the Institute of Education in London and an Anglican priest, said the evolution-creationism debate could no longer be thought of as something that happened elsewhere and that more and more people in the UK did not accept evolution. Traditionally, Judaism supported young earth creationism. Orthodox Judaism currently has diverse opinions regarding young earth creationism. Ultra-Orthodox Judaism accepts young earth creationism. In addition, a majority of the early church fathers supported the young earth creationist view. While Young Earth Creationism is prominent in many conservative Protestant denominations, theologically liberal Protestant and Jewish denominations generally reject it. The Roman Catholic Church has a cautiously positive view of the theory of evolution. Islam has a variety of opinions regarding creationism and the theory of evolution. Atheists do not believe in young earth creationism and a vast majority of the most prominent and vocal defenders of the evolutionary position since World War II have been atheists. In his autobiography Charles Darwin wrote about the diminishment of his religious faith and Darwin stated that he was an agnostic. Darwin wrote the following: "The mystery of the beginning of all things is insoluble to us; and I for one must be content to remain an Agnostic." On the other hand, Charles Darwin in his private diaries stated he was a materialist which a type of atheist. While agnostics do not believe in young earth creationism there have been some notable statements of skepticism regarding the theory of evolution from agnostics. On the other hand, Thomas Huxley was a staunch proponent of the theory of evolution and he stated he was an agnostic. 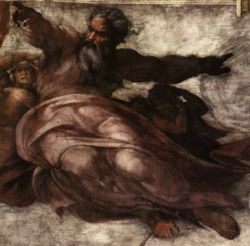 The leftist mainstream media, unsurprisingly, hates creation, just as it does with anything related to conservatism and biblical Christianity that contradicts left-wing views and secularism. Evolutionists admit to each other that "the creationists have the better argument." This is because what we see in life and in the fossils does not display emerging kinds of plants or animals. Evolution from one cell to man is not scientifically observable at all. The universe is young - on the order of several thousand, not billions of years old. Man, dinosaur, and mastodon walked the earth at the same time. The "missing links" are missing. God created discrete plants and aninals in the beginning and, with minor variations, these are what we see today. Mutations in the genes do not generate new life forms or even improve present life forms. Mutations harm or kill the organism into which they come. Prehistoric man was either apem monkey, or man and not some genetically evolving apelike man or manlike ape. The religious quest to prove evolution from the Big Bang to man will occupy the singular life of many but will end in despair for all who pursue the myth of evolutinary faith. ↑ "creationist." Dictionary.com Unabridged (v 1.1). Random House, Inc. 21 Mar. 2007. <Dictionary.com http://dictionary.reference.com/browse/creationist>. ↑ 3.0 3.1 Turpin, Simon (December 29, 2016). A Response to “The Age of the Earth: A Plea for Geo-Chronological Non-Dogmatism”. Answers in Genesis. Retrieved December 31, 2016. ↑ It should be clearly and strongly noted that creation was the dominant theory in Europe and Christianity prior to the "Enlightenment", when Christians and XINOs began to compromise on this issue. ↑ Turpin, Simon (December 26, 2016). Creation Invasion in Europe. Answers in Genesis. Retrieved January 1, 2016. ↑ FactCheck: will Britain have a Muslim majority by 2050? ↑ Jarvik, Elaine, Beliefs on Darwin's evolution vary from religion to religion Deseret Morning News 19 January 2006. ↑ Hallett, Vicky (December 30, 2016). Now there’s a theory that dinosaurs were wiped out in Noah’s flood. The Washington Post. Retrieved January 1, 2016. ↑ Jobe Martin, The Evolution of a Creationist: A Layman's Guide to the conflict between The Bible and Evolutionary Theory, Rockwall, Texas: Biblical Discipleship Publishers, 1994, p. 199. This page has been accessed 276,801 times.